Poor old Dell. It was launching Android tablets back in the day (2010) when five-inches was considered tablet-sized, with its Dell Streak so far ahead of the game it was a bit of a disaster. Dell soon bailed on Android all together, but is now BACK — with the Dell Venue 8 and Dell Venue 7. Dell’s holding a full press event later today where it’ll unveil all its new tablets (most running Windows), so ought to be providing us with proper tech specs and high-res imagery of the Android Venue 8 soon. Dell’s now issued full details of the two Android models, saying the 7-inch Dell Venue 7 will sell for $149 (£92 approx), while the 8-inch model will cost $179 (£110). Both are powered by an Intel Atom Clover Trail processor (a 1.6GHz Z2560 in the 7 and a 2.0GHz Z2580 in the 8), 2GB of RAM and feature an unskinned Android 4.2.2 as the launch OS, with IPS displays running at 1,280 x 800. Dual-cameras and an SD card slot are also in place. Dell Venue tablets are designed to give people on-the-go a wide-selection of sizes and options to meet their varying needs. From 8 and 11-inch Windows-based tablets complete with keyboard and stylus options, to the 7 and 8-inch Android tablets, Dell has created a dedicated brand of tablets to meet the needs of customers who are the epitome of the evolving workforce. Dell today took a bold step in unveiling a new family of tablets and new laptops, including a 2-in-1 Ultrabook. The Dell Venue line of tablets is comprised of four new ultrathin models designed to address the changing way people live and work today. Dell’s “” tablets, as described by leading Enderle Group analyst, Rob Enderle, deliver leading performance and quality, backed by Intel processing technology. With compact designs that make it easy to stay connected on the go, the Dell Venue tablets have an exquisite fit and finish. In addition to the versatile new Dell Venue tablets, Dell is introducing new XPS laptops, each with breakthrough displays for a phenomenal viewing experience with vibrant, crisp images in any available screen size. The new XPS 11, the thinnest, most compact 2-in-1 in the world, also features the first Quad HD (2560 x 1440) display on an 11.6-inch 2-in-1. The XPS 15 multimedia powerhouse boasts a stunningly thin design, and offers as an option the first 15.6-inch Quad HD+ (3200 x 1800) display in the world, which is the highest resolution available on a laptop of that size. Dell is also refreshing its award-winning XPS 13 Ultrabook with faster processors, touch Full HD (1920 x 1080) display and improved battery life. With these three laptops, Dell is leading the industry with the highest resolution displays possible.“People today expect the best experience possible from their technology – they are counting on it to keep them connected and move with them, wherever they are,” said Sam Burd, vice president Dell Personal Computing Group. “The new Dell Venue tablets and XPS laptops give customers the stellar experience they expect from us, with performance that allows them to work how they want, when they want, in a design they’ll be proud to show off and own.”Dell Venue tablets are designed to give people on-the-go a wide-selection of sizes and options to meet their varying needs. From 8 and 11-inch Windows-based tablets complete with keyboard and stylus options, to the 7 and 8-inch Android tablets, Dell has created a dedicated brand of tablets to meet the needs of customers who are the epitome of the evolving workforce. The Dell Venue 8 Pro and Dell Venue 11 Pro Windows 8.1-based tablets combine the level of performance, design and responsiveness end-users love while giving IT departments what they need – the ability to integrate into an existing corporate environment with full compatibility with current Windows applications and Microsoft Office integration. Both tablets feature optional advanced security features and services such as TPM and Dell Enterprise Services. 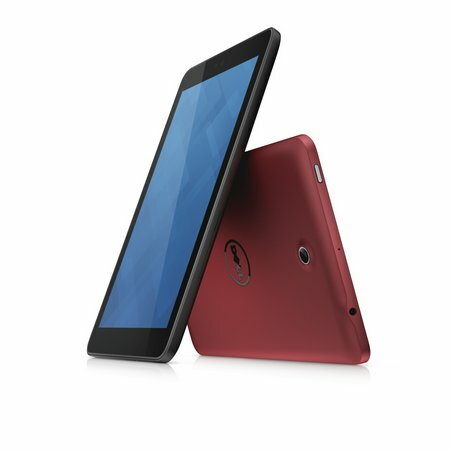 The lightweight Dell Venue 8 Pro runs Windows 8.1, has a bright HD IPS display, advanced connectivity options and provides long battery life so range anxiety is no longer an issue. People can also stay productive with Office 2013 Home & Student, included with the device, and the optional Dell Active Stylus. Dell Active Stylus makes it easy to annotate, draw or take notes. Dell Slim Keyboard, designed for travel, also serves as a cover for the screen when folded up. Dell Mobile Keyboard with integrated battery provides all day productivity with a full-sized keyboard while extending the battery life. Dell Tablet Desktop Dock delivers full productivity on a desk with USB 3.0 ports, and dual display out ports for display extension. 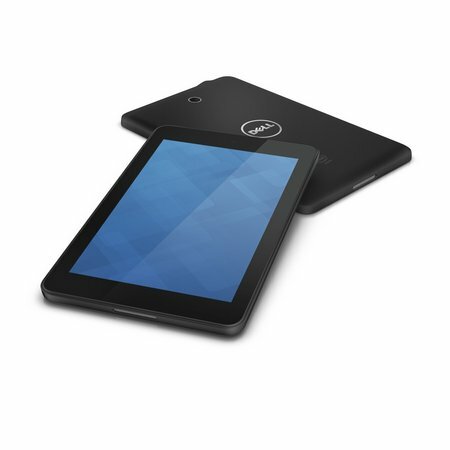 All Dell Venue tablets are based on Intel processing power for speed, responsiveness, and battery efficiency. The Dell Venue 7 and Dell Venue 8 feature Intel Atom Z2760 (“Clover Trail”) processors, while the Dell Venue 8 Pro and Dell Venue 11 Pro feature the new Intel Atom quad-core processors, code named “Bay Trail.” The Venue 11 Pro offers up to 4th Generation Intel Core i3 and i5 processor options and Intel vPro for manageability.